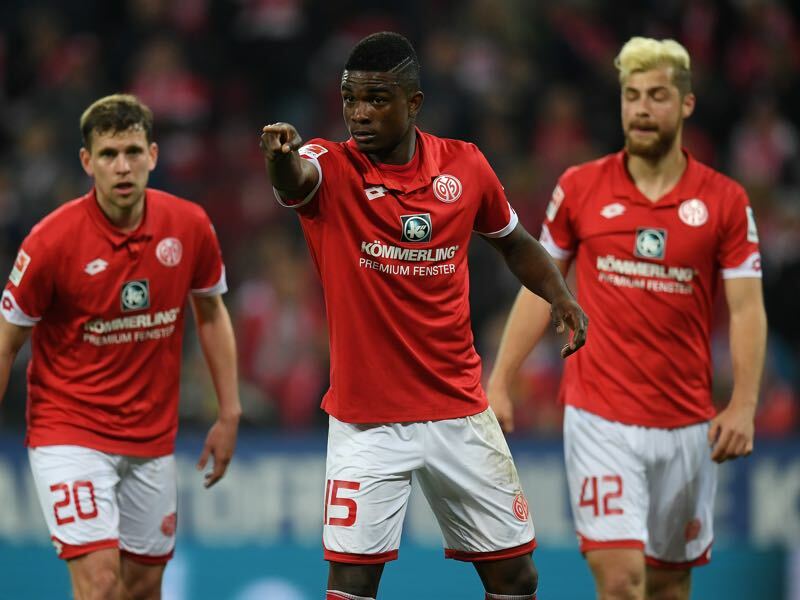 Anthony Modeste – Who Could Replace Köln’s Goal Machine? 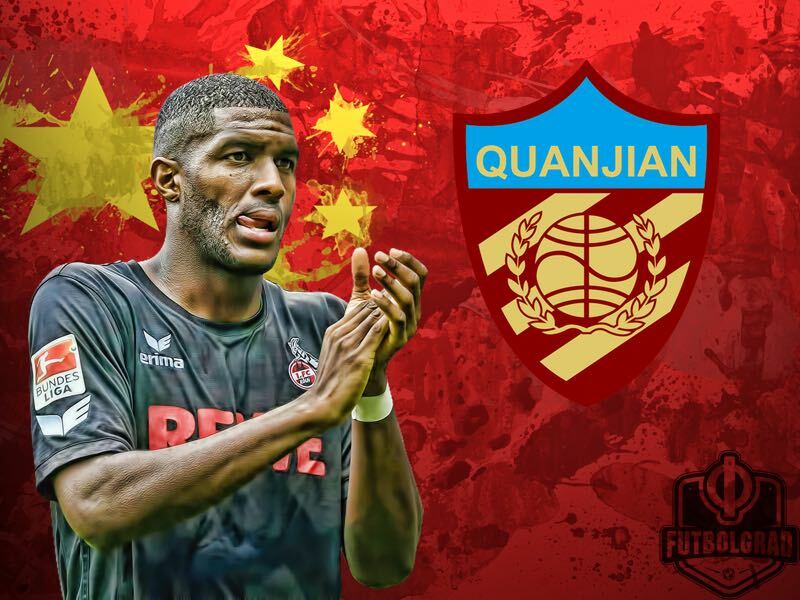 With Anthony Modeste leaving 1.FC Köln this summer for the Chinese Super League club Tianjin Quanjian the major question is how will the Bundesliga side replace the French goal scorer? Köln is rumoured to receive in the region of €35 million for the 29-year-old striker, who scored 25 goals in 34 games last season. At first glance, it appears impossible for the Billy Goats to replace the 25-goal gap that Modeste will leave behind. But a closer analysis suggests that it was always unlikely for Modeste to repeat last season’s feat. Furthermore, before joining Köln Modeste only managed to score more than 15 goals once—he scored 20 goals in 2009-10 for SCO Angers in the Ligue 2. It was in fact in Köln were Modeste finally was able to unearth his full potential. A big part of that was due to the work of head coach Peter Stöger, who seemed to work magic in getting the best out of the French striker. Stöger’s ability to get the best out of Modeste fills Köln’s sporting director Jörg Schmadtke with confidence that the Billy Goats can use the substantial sum that they have received for Modeste and bring in one or two new strikers that can not only replace the French forward but also make the squad better. 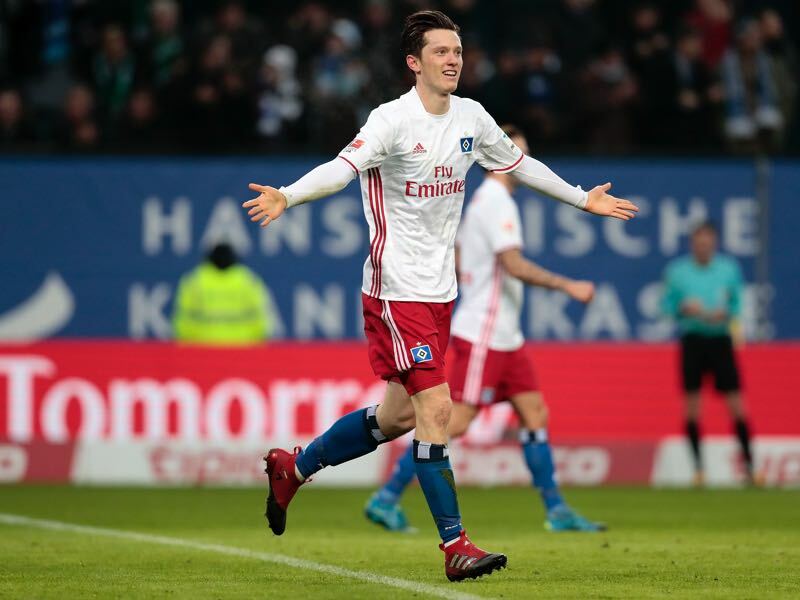 With Modeste’s transfer complete the Futbolgrad Network has identified a few potential transfer targets, who could replace Anthony Modeste next season. Mainz’s Colombian striker appears to be Köln’s number one transfer target this summer. The 24-year-old striker has often been favourably compared to the Ivorian striker Didier Drogba. Dubbed the Colombian Drogba Córdoba still lacks the goal-scoring prowess necessary to replace Modeste. Córdoba in fact just managed five goals and five assists in 29 games for Mainz last season. But the Colombian striker was valuable when it came to creating room for his striking partners. Mainz’s former head coach Martin Schmidt, in fact, pointed out on several occasions last season that Córdoba’s physical presence was necessary to free up space for smaller more agile teammates. Córdoba, therefore, would not be seen as a one-to-one replacement for Modeste and instead, his transfer would mean that Köln would undergo a tactical change towards playing with two more natural strikers. Köln want to sign the Colombian, but Mainz have been asking for €17 million for the Córdoba’s services. 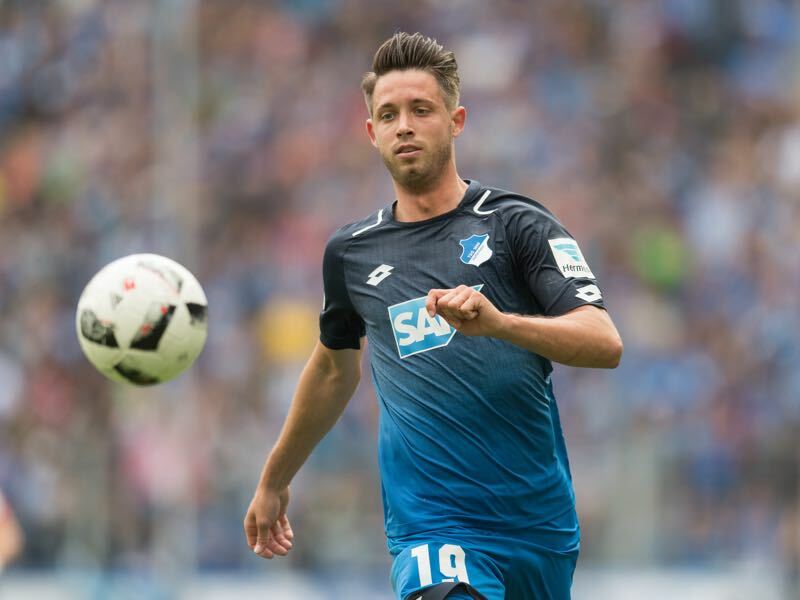 Mark Uth was often mentioned alongside the possible transfer of Jhon Córdoba. The 1899 Hoffenheim forward was born in Cologne and went through the club’s youth academies. At the same time, Uth was considered not strong enough for the first club and sold to the Dutch Eredivisie club SC Heerenveen in 2011. In the Netherlands, Uth became a reliable goal scorer. Scoring 15 goals in 32 matches, plus another five goals in four playoff games, in the 2014-15 season Uth earned himself a transfer to 1899 Hoffenheim. In Hoffenheim, Uth managed 15 goals in 47 games. Julian Nagelsmann likes to rotate his forwards, which means that Uth has been unhappy with his playing time. A transfer back home to Cologne would like result in first team minutes, and Uth would indeed create a fascinating partnership with Córdoba. Bobby Wood has recently been identified; as the number one backup option should Köln fail to sign either Uth or Cordoba. The Hamburg forward has shown at times last season that he has the potential to become one of the most dangerous goal scorers in the Bundesliga. Bobby Wood scored five goals in 28 games last season but struggled towards the end of the season when Hamburg were edging dangerously close to the abyss. Nonetheless the American striker is believed to have a bright future, but unfortunately for Köln Hamburg are adamant to hold on to the Hawaiian forward, who learned his trait with 1860 München in Germany. Alongside Hamburg’s Wood Köln have also identified Michael Gregoritsch as one of the possible players, who could come in to strengthen Köln’s attacking line. Furthermore, Gregoritsch seems somewhat reluctant to stay in Hamburg and has recently confirmed that he could consider a move away from the Hansastadt. Köln have already made an offer of €4.5 million and will likely try again to navigate the Austrian forward to the Domstadt. Gregoritsch could very well be considered an additional forward to the above-mentioned Córdoba and Uth, but also a negotiation tool when it comes to signing Córdoba from Mainz. At the same time Hamburg, like Mainz, are aware of the €35 million that the Billy Goats have received for Modeste and will, therefore, try to drive up the price for Gregoritsch. Serge Gnabry’s recently completed his transfer from Werder Bremen to Bayern München. But one of the major topics at the U-21 European Championship was whether Gnabry would actually play at Bayern this season—speaking in the mixed zone to journalists Gnabry was adamant that he is a Bayern München player and that he expects to start the season there. But at the same time, the step from Bremen to the Rekordmeister might be a step too far this season, and Bayern could, therefore, look for a loan destination for the attacking midfielder. Possible locations have been Schalke and Hoffenheim. The Bavarians want Gnabry to regularly play European football next season, which would eliminate Schalke. 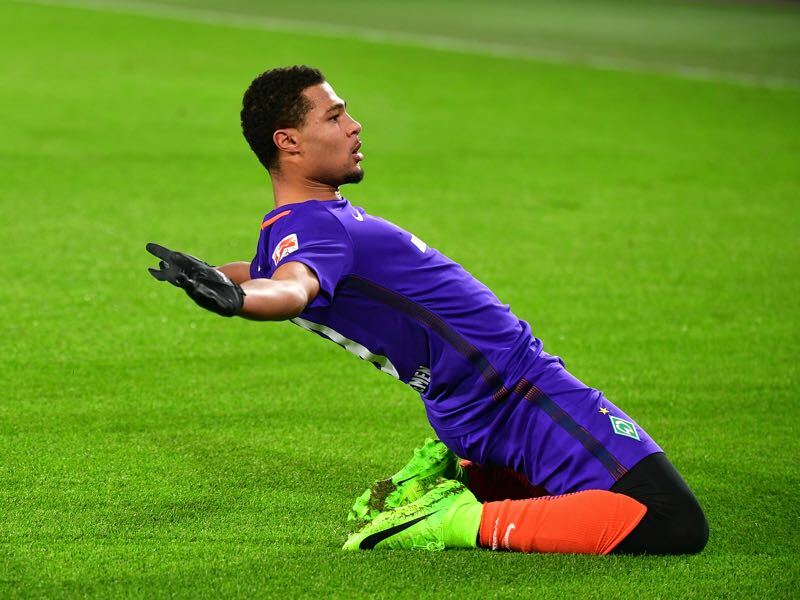 Hoffenheim in the meantime seems the favourite for a loan move should Gnabry fail to make a significant impact on Bayern’s season preparation. But with Köln playing in the Europa League next season the Billy Goats may also have a chance to land the 21-year-old attacking player. Fedor Smolov possible transfer to a club in Western Europe has been one of the main topics around the Russia camp here at the 2017 FIFA Confederations Cup. The Krasnodar striker, who won the goal scoring title two times in a row in the Russian Football Premier League is adamant that he wants to make the step abroad. 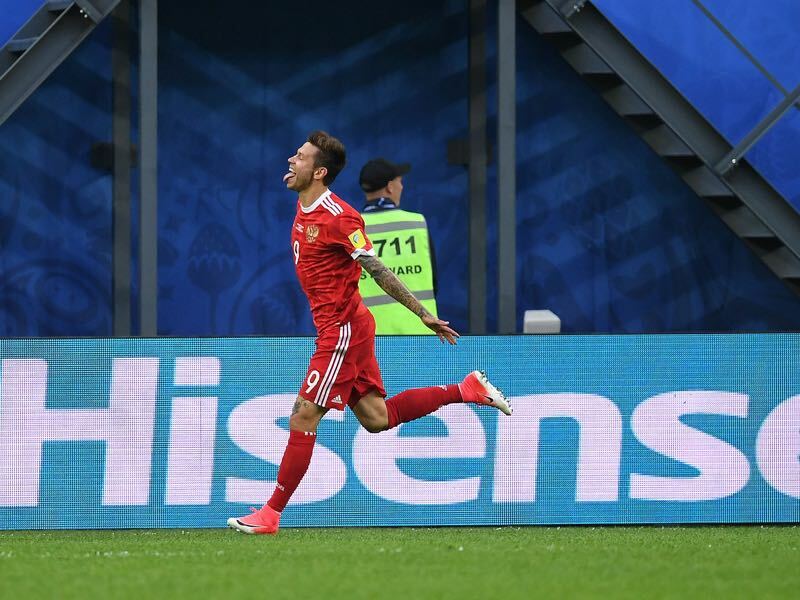 His recent goals in the friendly against Hungary and the opening game against New Zealand highlight Smolov’s ability to make goals happen out of nowhere. Both capable to finish in the box, but also to collect the ball deep in his half to create goal scoring chances makes him an almost complete forward. At the same time transfers to Borussia Dortmund, who are again rumoured to be interested, and Bayer Leverkusen have failed. Asked about the interest of foreign clubs Smolov recently stated: “where there is smoke there is fire, but unfortunately there seems to be certain preconceptions about players from this part of the world.” Smolov might be the best candidate on this list to replace Modeste and with a price tag of €10 million would certainly be affordable for the Billy Goats. Emre Can – Where Does he Fit in Joachim Löw’s Plans?